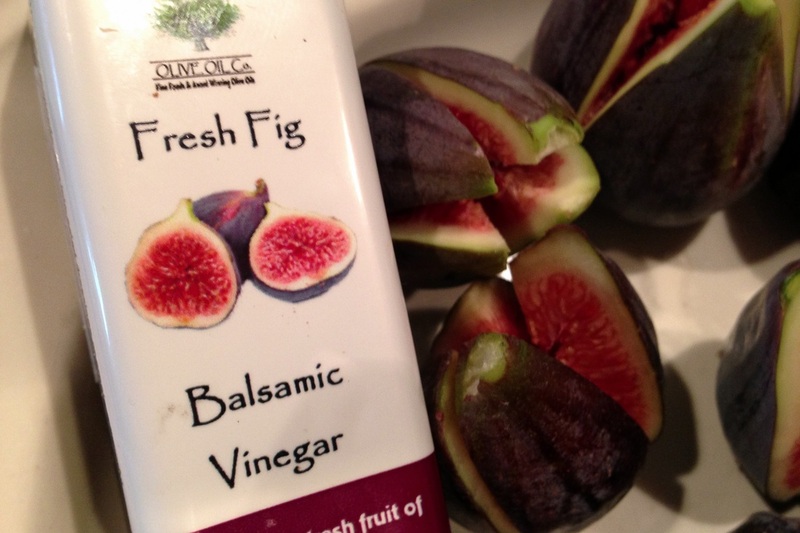 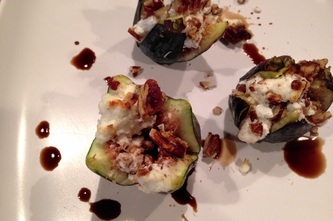 Figs, goat cheese, toasted pecan and a fig balsamic drizzle, need I say more? These came out so very delicious and I can see serving them so many different ways. 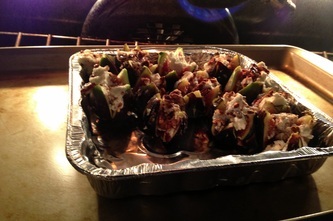 How about as a side to chicken or pork or as a stand alone appetizer. I'm also thinking in the middle of a beautiful salad using the balsamic drizzle over the salad. 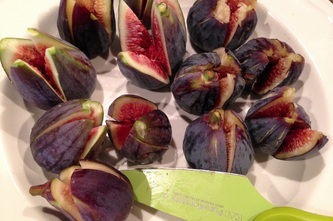 I can even imagine serving these on the side of a vanilla bean ice cream for dessert. 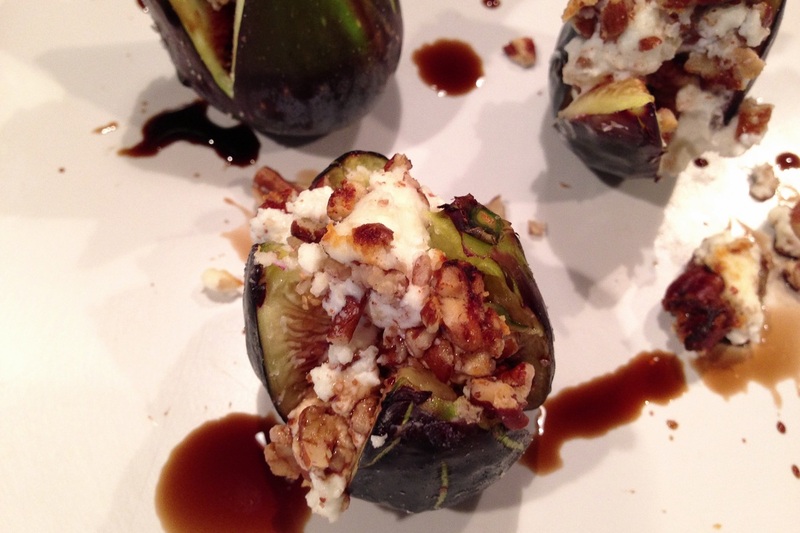 Can you think of any dish that can be used from start to finish in a meal? Really amazing little treats are these. Cut your figs from top to bottom being careful not to cut all the way through. 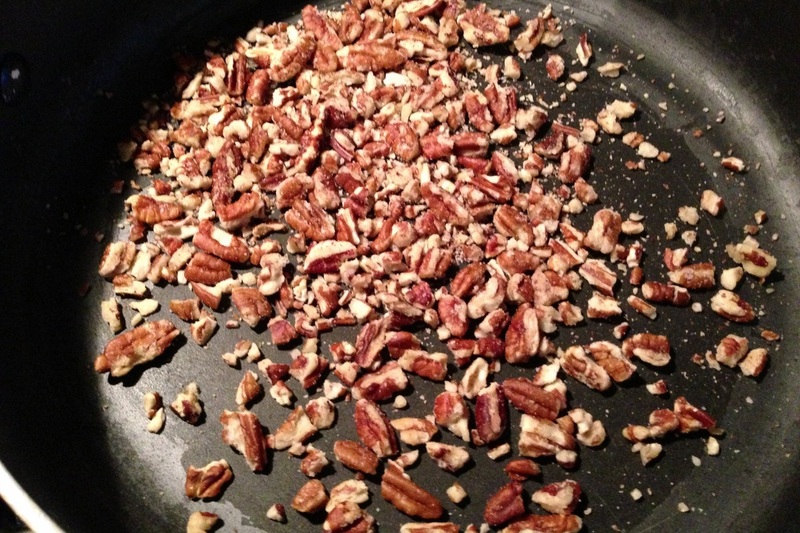 Toast pecans in a fry pan after smashing with a kitchen hammer. 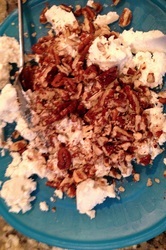 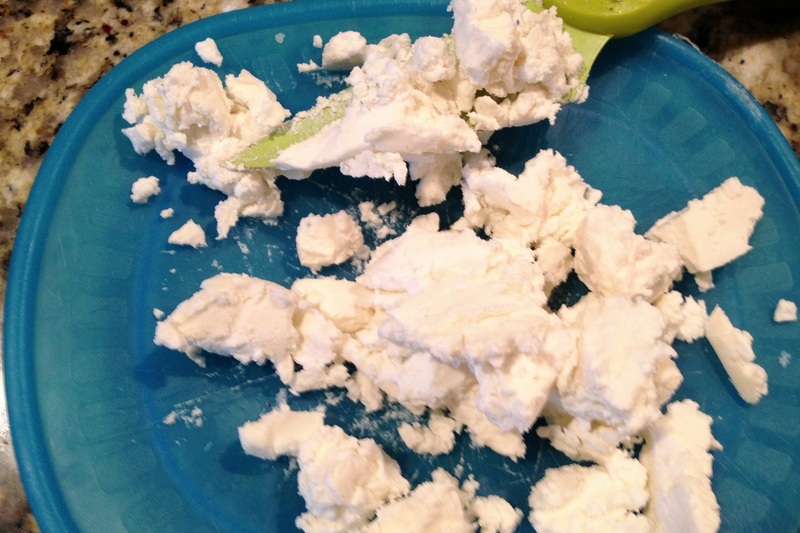 Mix nuts in to the goat cheese. 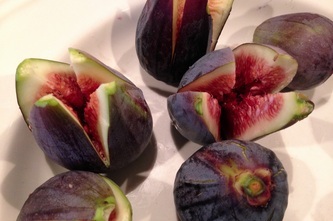 Using two spoons place filling in the figs. 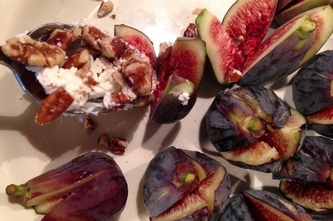 Arrange on a baking pan right side up using the figs to lean against each other to keep standing, Place under the broiler for 5 minutes until the goat cheese is soft. Drizzle with balsamic vinegar when plating. 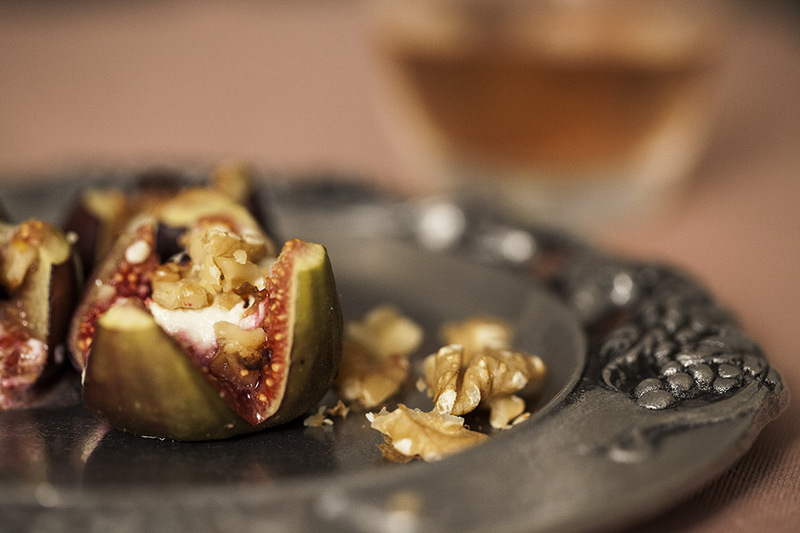 Serve warm and get ready for a most delicious treat. I hope you enjoy these beautiful delicious stuffed figs.